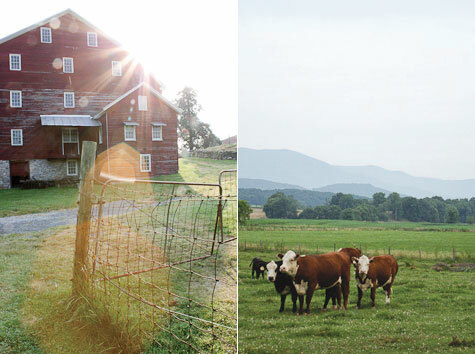 I’ve mentioned before that my heart lies in the Shenandoah Valley at the foothills the Blue Ridge Mountains. I’m a rural girl at heart and for me nothing compares to being immersed in that slower paced environment with natural beauty abounding. A few years ago we found a simple (but wonderful) farmhouse rental overlooking a historic mill & barn a few miles from family. I’m over the moon that we get to stay at this idyllic retreat again in a month. 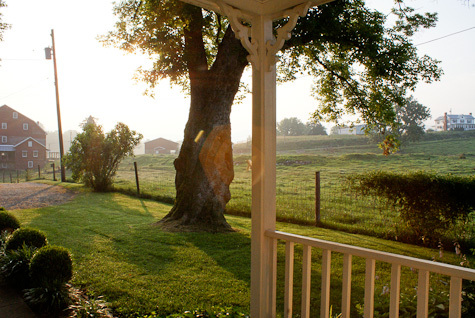 I’m looking forward to sitting on the screen porch, listening to the cows bellow and embracing the stillness. I live at the foot of those pretty blue hills. I tried to leave, to live by the sea. But my soul needs the mountains!